Brand new to the industry, Torus' Automatic Score Gauge utilises state of the art white light interferometry to inspect the score related features of both beverage and food can ends. The score is an essential area of the easy open end. A poorly manufactured score will require significantly more force to open than a good manufactured score. A score residual will typically be around 30% of the manudactured end thickness. HOW HAS SCORE TRADITIONALLY BEEN MEASURED? Checking the score residual of easy open ends has historically been achieved through using manual benchtop gauging or as part of a 'pop & tear' inspection. Manual benchtop methods are extremely time consuming and labour intensive. A pop & tear inspection will also only detail high/low pass or fail values, it cannot detail where the issue is located or what the cause is. 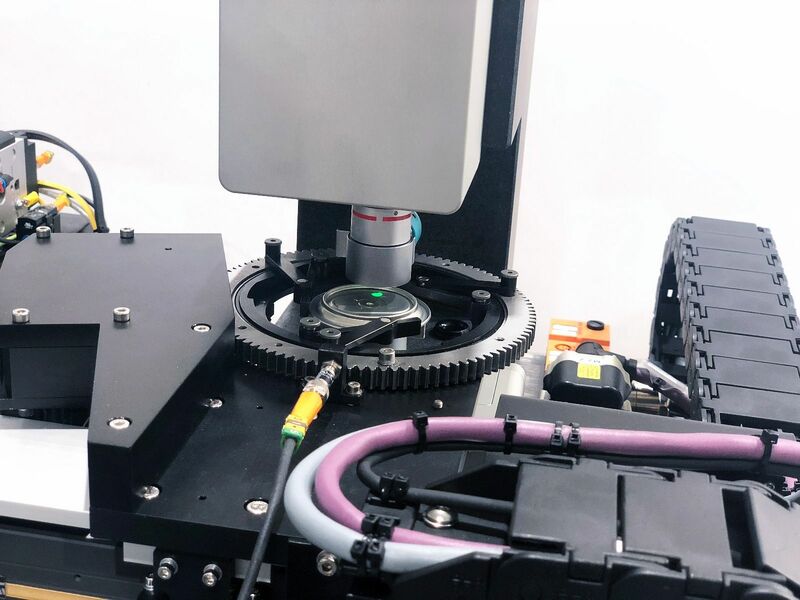 The gauge utilizes white light interferometry, a non-contact optical method for surface height measurement on 3D structures, producing real time 3D fast scanning.